If this is your first time to learn about a festival happening a week before Christmas, you will be flabbergasted and ask why? Yes, it is indeed astonishing for some people especially if they do not know the background or the reason for this festival called Shariff Kabunsuan. 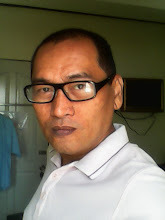 First, it is celebrated annually in Cotabato City where our Muslim brothers have huge numbers in terms of population. Second, the festival commemorates the arrival of Shariff Kabunsuan, an Arabian missionary who introduced Islam to the natives in the area around 500 years ago. 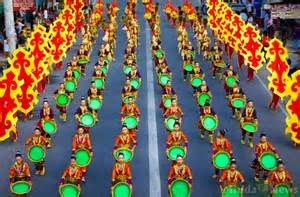 This festival is celebrated yearly from Dec 15-19, that is roughly a week before their Christian brothers celebrate Christmas. 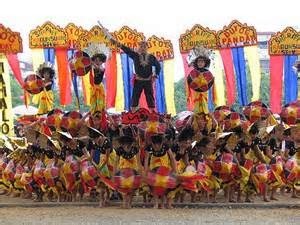 This festival is very popular not only among locals but also among foreigners and domestic tourists coming from different places in Mindanao. Cotabato City is rich in history. In fact, it is the first capital of Mindanao during 17th century at the time of Sultan Kudarat, before the Jesuits entered the area in late 18th century. Because of the influence of these two religions, the festival is a convergence of both Muslim and Christian tradition. Major events during the festival are Alimango (Crab) Festival, Culinary Competition that features Muslim delicacies only, the usual cultural shows, Kulintang Ensemble Competition, Inaul (Hand woven textile worn as malong) Fashion Show, trade fair and exhibits, Acrobat Competition, and water sports that includes boat racing. 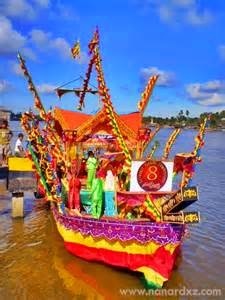 Other highlights are the fluvial parade, the re-enactment of the arrival of Shariff Kabunsuan from Johore, Malaysia via Rio Grande De Mindanao, and street dancing and parade. The festival ends with “Pagana Maguindanao.” This is a traditional dining experience among the Maranao and Maguindanaons honouring special guests who celebrate with them during the festival. It is a quiet gathering with the visitors who are served with traditional Muslim food such us tinadtag, putrid mandi, sininang baka, plils, and many others. This grand meal starts with a thanksgiving prayer and when the meal ends, the host will distribute tokens of appreciation to honoured guests. During dinner, the guests sit barefoot on the floor. After dining, a cultural presentation follows. If you want to experience a Muslim festival and wrap it up with Christian tradition a week after, Shariff Kabunsuan Festival is definitely worth experiencing. It’s time to know more about our Muslim brothers through this festival. Cotabato City is 7 hours away from Davao City by bus and 4 hours by private vehicle. There is a direct daily flight from Manila to Cotabato City.